Optimizing your event website for search can help you rank higher in search engines, increase traffic to your event site, and boost ticket sales and registrations. People will often search for an event they are considering to attend to get more information and make an informed decision. Showing up in their search results and getting them to land on your event website gives you the opportunity to showcase your upcoming event and convert visitors into attendees. With this in mind, in this article, we’ll share some actionable steps that you can take to optimize your website or landing page for search engines. Before we begin, let’s quickly step through some essential event information that you should be publishing on your website. If you want your site to rank in search engine results pages, you’ll need to make sure you’re providing relevant information to both your site’s visitors and to search engine bots. Event name. It is generally a good idea to pick a distinctive yet self-explanatory name for your event. Event date and time. Make sure that your event time and date is easy to find. This information is displayed in search engine results pages through structured data. Event location. Search engines will rank your event site higher in results pages if your venue matches the user’s location or is in the same vicinity. Event description. A short and quick description of your event that clearly states what the event is and who it is for. Event schedule. 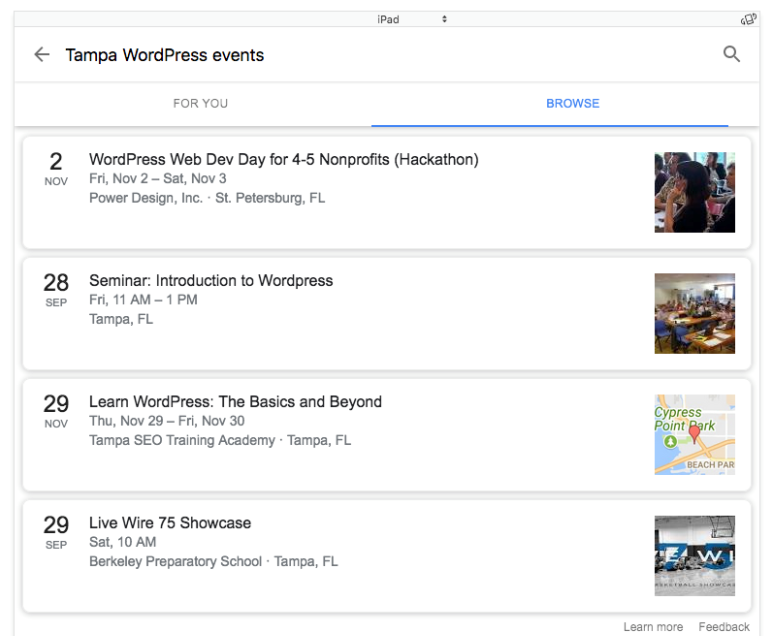 The event itinerary shows up in the search results whenever someone searches for it giving you more screen real estate on the search engine results page. Speakers and keynotes. Your speaker lineup and the topics they’ll be covering in their keynote can provide great SEO value for your event website. Event photos and video. Professional photography and video gives you an opportunity to leverage image and video SEO. Ticket information. Display ticket pricing information on your event website along with information on how prospective attendees can get ahold of them (in the case of on-location ticket sales). Contact information. Have your email address, social media handles, phone number, and contact form clearly displayed on your event website so that prospective attendees can reach out to you. Lodging and transportation information. If your event carries over multiple days you can add information about available transportation and lodging options and have those service providers link to your event from their website. Those external links will boost your search engine visibility. FAQs. Address most common user queries preemptively with an FAQs section. This can include common questions attendees asked in past events or inquires that attendees are likely to have. Now that we have a list of all the essential information you should publish on your event site, let’s take a look at how you can optimize it for search engines. Giving your event site an SEO boost makes it easy for your target audience to find out more about your event and gives you many opportunities to convince them to register for it. Here, we’ll look at some of the ways you can optimize your event website for search engines. Knowing which keywords you should be using isn’t enough – you need to know where to place them and how often. You should be adding your primary keyword to three different areas in your event posts, namely the title, headings, and meta description. Title. The optimal length for titles is between 55 and 60 characters. In WordPress, you can set your event post’s title by entering it into the SEO title box in Yoast SEO. Headings. Using keywords naturally in H2 headings is good for SEO. Meta description. Your event post’s meta description is the text that’s displayed under the post title in the search engine results pages when the searched-for phrase is in the description. Anchor text is the text that’s underlined (or highlighted in some other way) in a link. Best practices for anchor text optimization suggest that you should sound natural and provide value to users. So, instead of linking every instance of your event name in a post to your event site, only do it where it would deliver value to the reader. For instance, if you’re asking them to go to the site and register, that would be a good place to link from. Simply put, your anchor text should be natural, versatile, and relevant to the content. Anchor text like Click here to book a ticket might’ve worked back in the day but You can book a ticket at our event page is more explanatory (and natural sounding) than the former. Events are social experiences which is why it’s important to make sure your event has a strong presence on social search engines like Facebook, Twitter, Instagram, and YouTube. A consistently branded social media page for your event provides social proof and gives you many opportunities for quality backlinks. It also helps people find your event on social media and makes it easier to reach larger, like-minded audiences who would be interested in your events. The competition for short, direct, and more general keywords is often very high. It might be difficult to rank for a general keyword like SaaS conference; however, you can make it more specific by optimizing for SaaS conference Montana 2018 instead. It’s a good idea to include your event’s location (state or city) and date (month or year) in the long-tail keyword you settle on. People generally search for upcoming events in their location making it possible for you to optimize your event website around it and rank in search engine results pages. 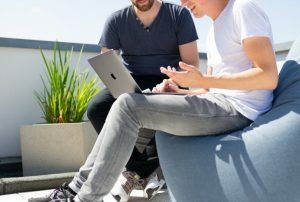 Improving your site’s accessibility allows individuals who are visually impaired to find your event and optimizes your images for search engines. Bots can’t see images so they use the alt-tags on images to understand it. You can make your video content SEO friendly by adding closed captions to your videos or publishing a transcript of the video. Search engines (like Google) use schema markup to retrieve the most informative results for user search queries. 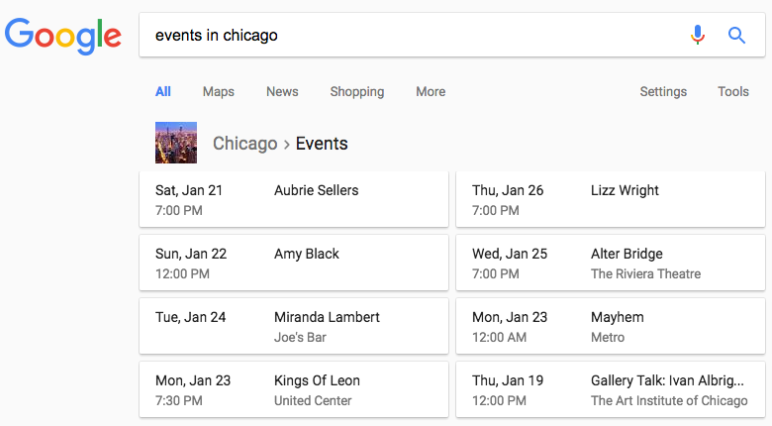 By using event schema, you can have your event’s details displayed as rich snippets in Google’s search results. The great thing about event schema is that you can find one for your specific type of event whether it’s a business conference, a sports event, or a music festival. It covers all the important information about your event such as the dates, ticket offers, and venue, and is a perfect add-on for your event website. Event Espresso supports Schema.org structured data markup for events out of the box. What this means is that your events will show up as rich snippets in search engine results pages from the outset. People in nearby locations will likely be your largest target audience if your event is taking place outside the digital world. Through local SEO, you can make sure the right people are able to find your event at the right time – when your event tickets go on sale. If you add your event’s location and date in the right places (event post title, in your content, in schema markup, etc…), you’ll be able to make your event rank for that date and location. Having high authority websites link back to your event site is great for your search engine ranking. You can post your event in local directories or discovery sites with a brief description of your event and a link back to your ticketing page. Another way to increase inbound links to your event site is by asking attendees to share your event with their social media following. Optimizing your event website for mobile will certainly give it an advantage in Google search results. A large percentage of search queries are made through mobile now and Google rewards responsive, mobile-friendly websites in its search results pages. Create a new website for your event (e.g. www.event.com). Create a sub-domain on your company’s website for your event (e.g. event.company.com). Host your event on your company’s website (e.g. www.company.com/event). In addition to this, you’ll want to make sure your event URLs are descriptive and self-explanatory. So, instead of using numbers and symbols (www.event.com/?p=1214), you might consider using hyphen-separated words (www.event.com/event-california-2018). Optimizing your events for search engines should be a part of your online event marketing strategy. It makes it easier for prospective attendees to find your event through search engines and helps you increase ticket sales and registrations. All you have to do is make sure you have all the right information published on your website and work towards optimizing that information for search engines to reach the maximum amount of people. What are some of the ways you optimize your events for search engines? Let us know by commenting below.